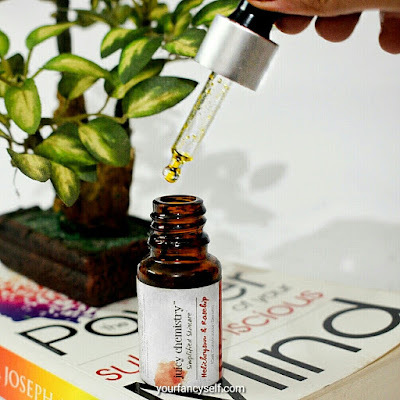 Juicy Chemistry Helichrysum and Rosehip Overnight Cell-Construction Serum Review - YOUR FANCY SELF! 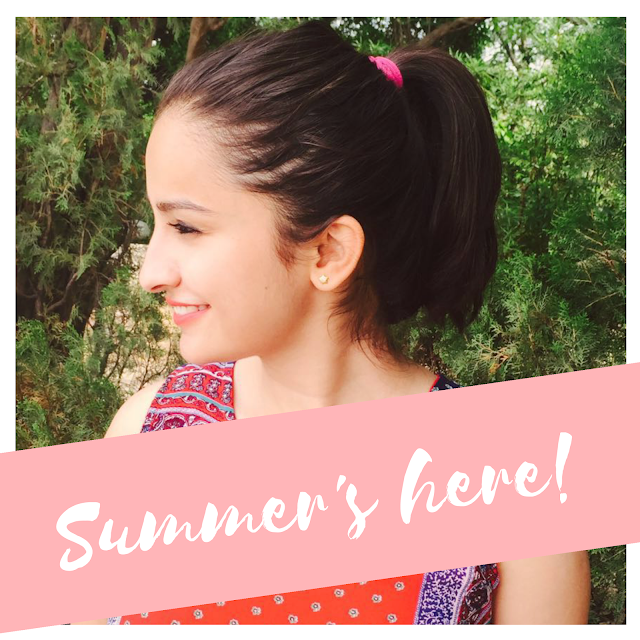 Juicy Chemistry is one of the few brands in India who deliver what they promise. 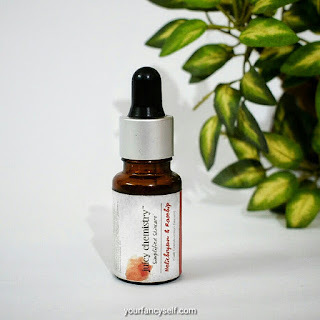 Juicy Chemistry asserts of using “real” organic and pure ingredients which guarantee most natural and rich experience to the customers rather than Greenwashing them. What is really special about their formulations is that do not use any preservatives and emulsifiers and hence, there products have shelf life of 6 to 8 months only. One of their products, Organic Helichrysum and Rosehip (Overnight Cell-Construction Serum) is my personal favourite for my night skincare regime. It comes in 2 sizes; 10mL and 30mL, which retails for ₹550.00 and ₹1,300.00, respectively. I personally found it working as good as Kiehl's midnight recovery concentrate which happens to be an established holy grail in the skincare market. On the brighter side, this serum retails for almost half of that of Kiehl’s. The serum comes in classic dark glass bottle with a dropper. 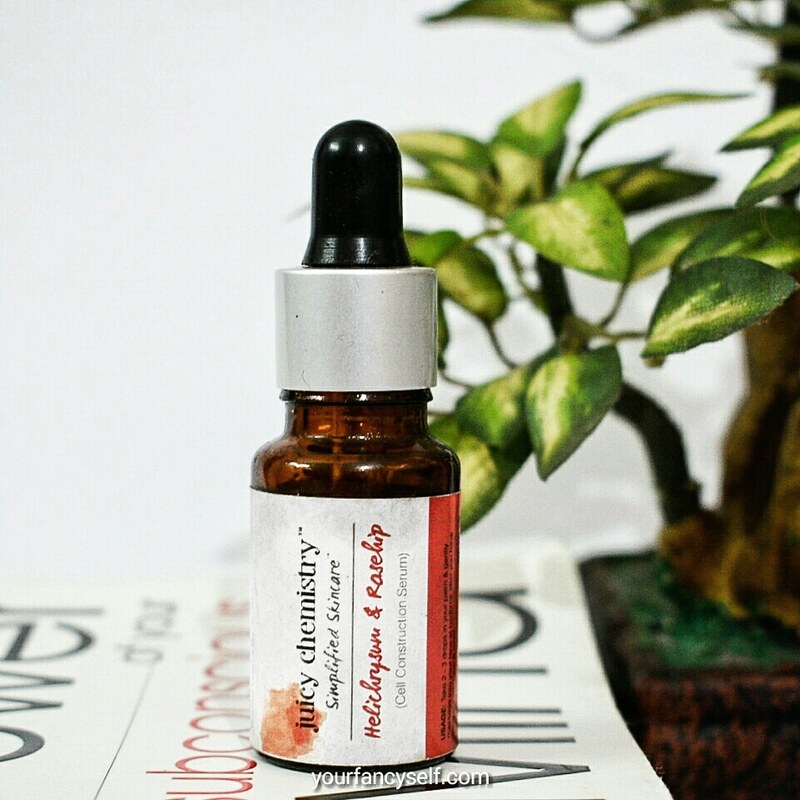 The consistency of the product is like all the other serums, a bit denser than water. The colour is transparent yellow with strong smell. People with sensitive nose can find the fragrance a bit overpowering as it stays on even after application. The face may look a bit pale after the serum is applied. 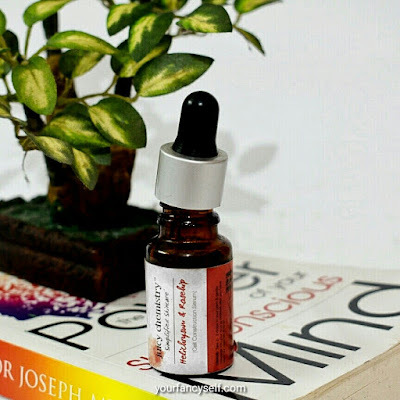 My experience with this serum has been wonderful. I’m onto my second bottle. One feels such richness the moment serum is patted into the skin. The blend of Helichrysum, Carrot Seed, Frankincense, Lavender and Sunflower oil works wonders on your skin as you sleep through the night. The immediate effect I noticed in my skin was I used to wake up with a much softer and hydrated skin, like a whole layer has been removed to bring out new fresher skin. Gradually my dry desert skin became more moisturised and hydrated and complexion started to brighten up. I’m blessed with face which never ever had a pimple, but had few regions with pigmentation. It reduced darkness around my eyes and mouth. This serum and other products by Juicy Chemistry are available on Nykaa and their own website. It is suitable for normal to oily skin. However a patch test prior to use is recommended.